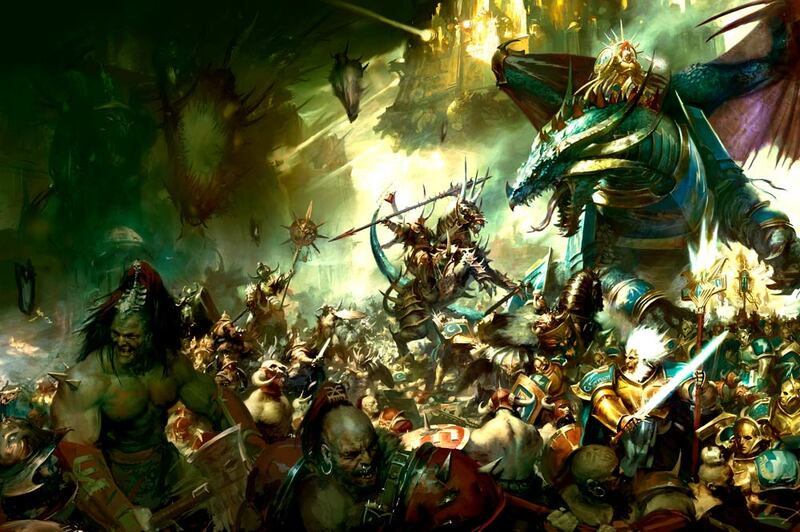 New FAQ & Errata has just dropped for Warhammer: Age of Sigmar. Armies across the mortal realms have gotten a tweak here and there to prep it for the updated AoS 2.0. Time to hit the (rule) books! 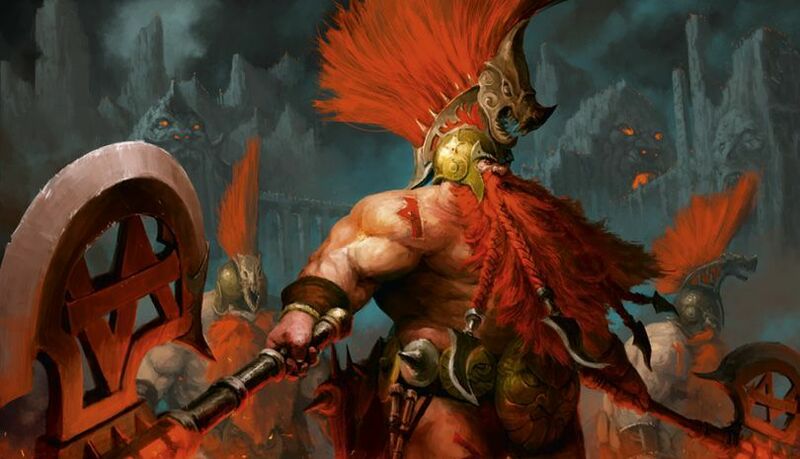 Age of Sigmar got a new edition this summer and with that now out in the wild for a couple of weeks, Games Workshop has unloaded a brand new batch of Errata and FAQs to (hopefully) help clear-up any funky interactions and questions. If the army was part of the June Updates (Nighthaunts and Kharadron Overlords, for example) they didn’t get any changes. But pretty much all of the older books got some attention. So What’s With All The Errata? 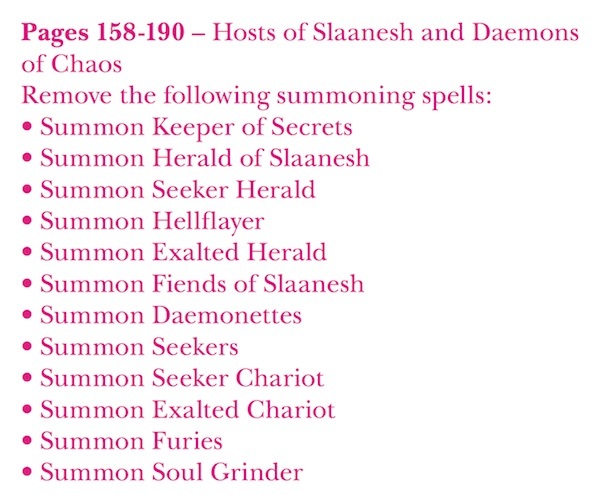 Here we can see from the Grand Alliance: Chaos Battletome all of those summoning spells are removed. This type of situation is echoed throughout the errata that was released. This shouldn’t be a major shock as anyone who has been paying attention should have seen these changes coming. That said, some armies got more than just their summoning spells removed. “Artefacts of Power” may have gotten some tweaks depending on your army like they did for the Blades of Khorne. Or your Command Abilities might have gotten a major update like they did for the Fyreslayers. As mentioned, if you’re playing AoS you need to check the FAQ for your army because something is probably updated. AoS Errata Update – Summoning and Command Ability Update! !